When Should I Start Studying for the CPA Exam and When Should I Take It? Many accounting students and future CPA candidates ask “When should I start studying for the CPA exam?” The answer is as soon as possible! The CPA exam is an academy test that doesn’t really have that much real-world applicability. In other words, the longer you are out of college, the more difficult it will be to study and prepare for the exam. That and life tends to get busier after college, so you tend to have less time to study when you are working a full-time job. If you are well into your career and still haven’t committed to the exam, don’t worry. There’s still time. 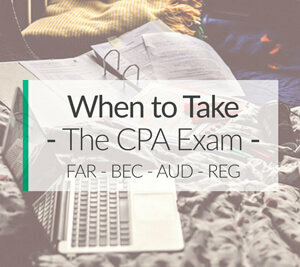 Let’s go over a few scenarios and see when is the best time to take the CPA exam. When is the Best Time to Sit for the CPA Exam? 1 When is the Best Time to Sit for the CPA Exam? 2 What Time of Year is The Best Time To Take the CPA Exam? 3 When Should I Start Studying for the CPA Exam? 4 Don’t Waste Time. Start Studying Now! There is no real best time to take the exam. It really just depends on your situation and what is going on in your life right now. Typically, CPA candidates fall into these three main categories. Let’s take a look at each of them and see when each should apply for the exam. When Should College Students Take the CPA Exam? If you are a college student, you should contact your state board to see if they allow you to take the exam before you graduate. Many states allow students to take at least one section during their senior year of college. This is an excellent way to get ahead of your graduating class and show future employers that you are serious about entering the profession. It goes a long way to be able to put one or two passed CPA exam sections on your resume before you even finish your degree. Thus, if you are a college student, you should try to start studying for a section in the first or section semester of your senior year. This way you will be ready to take one on or before your graduation. You might even think about taking a section during your summer break. When Should Recent Graduates Take the CPA Exam? I would advise recent graduates (people who have graduated within the last 3-5 years) to start studying for the CPA exam right away even if they haven’t found a job yet. Taking the CPA exam right out of college will show future employers that you mean business. A public firm is much more likely to hire you if you are actively pursuing your certification. 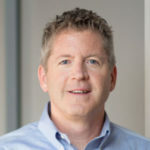 I know it’s tempting to wait until you get hired to buy a review course and sign up for a section because many firms will pay for the costs, but don’t wait. You would be surprised at how many firms will reimburse you for exam fees and review course fees after they hire you. Take the exam as soon as possible. Life is only going to get busier and you are only going to forget things you learned in college. When Should Career Professionals and Accountants Take the CPA Exam? Career professionals (people who have graduated more than 5 years ago) typically have a lot more going on in life than someone right out of college. They also tend to have lost a lot of useless facts that they learned in college. I would still advise you to take the examination as soon as you can, but this isn’t always feasible. Careers, family, and other obligations get in the way. Thus, it makes the most sense to schedule your exams around your business seasons. For instance, tax accountants would be crazy to try to sit for a section during tax season. They would much better off to take a few in the last quarter before their jobs get busy again. If you are a career accountant or professional, take a look at your schedule and plan out when you can take all four sections. Map it out and make a plan to start studying for the CPA exam according to your availability. What Time of Year is The Best Time To Take the CPA Exam? Unfortunately, there is no “best time of year” for everyone. It largely depends on your schedule. For example, college students might want to take the exam during the summer months, while career accountants might want to start studying for the CPA exam towards the end of the year. There has been a lot of speculation that some testing windows are easier than others because the pass rates improve. This idea is total nonsense. All of the windows test the same exam and are equally difficult. Pass rates tend to fluctuate based on exam changes, updates, and candidates schedules. Don’t worry about there being an “easy” testing window. Fit the exam into your schedule and your life and you will do just fine. 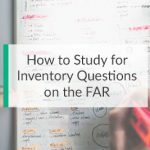 Tons of candidates ask, “How long should I study for the CPA exam?” There is no standard number of study hours that the AICPA recommends, but I would suggest that you study for approximately 6-8 weeks for each section. This will give you plenty of time to prepare. So when you are scheduling and applying for your NTS, make sure to leave yourself enough time to start studying for the CPA exam about 7 weeks from your exam date. Don’t Waste Time. Start Studying Now! The biggest piece of advice that I can give you no matter where you are in your life is to start studying right now. Procrastination will keep you from becoming a CPA indefinitely. Don’t let this happen to you. One of the best ways to get started and stay motivated is to purchase a CPA review course that creates a study planner for you. Get the review course, schedule your exam, make the study plan, and stick to it. You won’t regret it.